I remember watching the action one cold December evening at JFK’s Terminal 4. The airlines’ Christmas rush had the ramp packed to the gills. The ramp tower was scrambling to find parking for planes and using some outer-most hardstands that offer a tight squeeze at best. A 200,000lb widebody aircraft was being pushed backward by a tug into a spot alongside another aircraft, the tug’s driver trying to stay warm and alert, moving slowly while his wing-walkers followed under each wingtip. After only a slightly wide turn into this narrow spot, a wing-walker saw that a collision with the adjacent aircraft was looming. He brings up his two orange wands into an “X” and yells “STOP!” at the top of his lungs as he runs toward the tug driver to get his attention. It was three second before the driver took notice, and in that blink of an eye, he had already navigated the plane directly into the space of the adjacent aircraft. It was technically too late, but they are lucky. 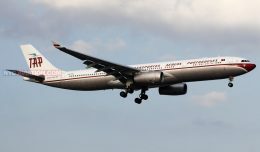 The only reason the two planes did not collide was that the widebody’s wing rose 3 feet higher than that of the narrowbody aircraft beside it. Frighteningly, this type of situation is not uncommon by any means. Aircraft scrape fellow planes, tap light poles, cause injuries and even fatalities to those working the ramp more often than the public hears about. On a cold, loud, busy ramp at night, the difference between injuries and hundreds of thousands of dollars in damage is measured in fractions of a second. With 27,000 ramp accidents that take place in the industry each year, that averages out to one per thousand departures. As such, communication between wingwalkers, tug drivers and pilots is paramount to keeping people safe. 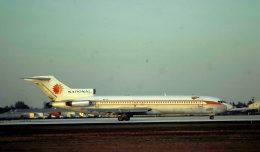 With that constant threat in mind, Southwest Airlines recently took a big step in improving ramp safety by implementing a wireless ground communication system by Oregon-based Flightcom. It’s almost too easy: Take the plug-in headset tug drivers use to talk to pilots and replace it with a wireless system that now lets the wing-walkers in on the conversation as well. No one is in the dark anymore about when and where the plane is moving, which engine is starting, and there are no delays in relaying information when something goes wrong and the plane needs to stop NOW. The kit consists of three headsets, one for the driver and two wing-walkers. There’s also the “ComHub” wireless base that plugs into the nosegear, painted a highly visible color to prevent it from being forgotten on the aircraft. After use, it all piles into a portable, hard-case/charger that can be rolled around or affixed to a tug tractor or gate. 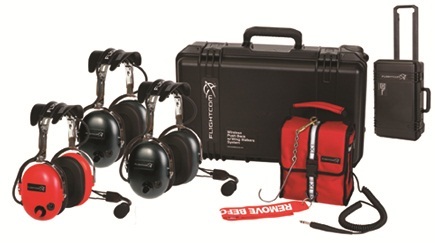 The Flightcom headset system is like a boombox for three. 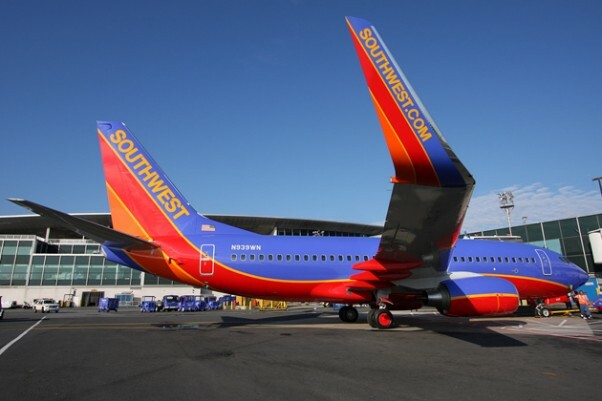 Southwest Airlines currently has the headsets in action at half of their 73 airports, and expects to have them deployed through the entire system by April. Marc Stank, who is Southwest’s Senior Manager Safety, Standards, and Regulatory Compliance, Ground Operations (fit that on a business card!) 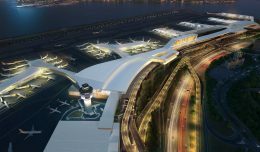 tells NYCAviation that in just the few short months since beginning use of the headsets, a number of ramp incidents have already been prevented. In fact, the cost of the devices is earned back within only 12 weeks. A worthy investment in an industry that already is challenging to make a buck in. The bills for such accidents pile up fast. 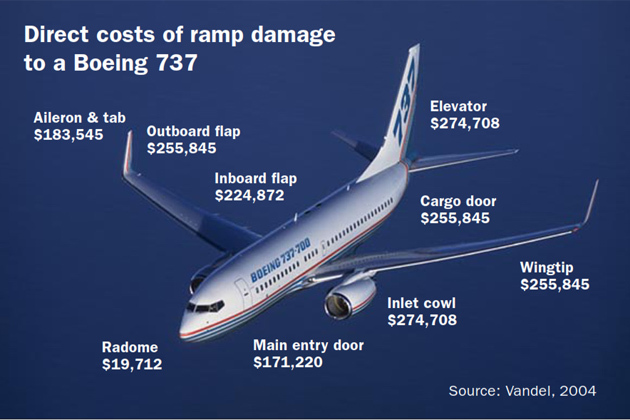 The total cost of ramp accidents cost insurance companies $10 billion annually. Remember last April when that Air France A380 spun the Delta CRJ around at JFK in April of 2011? Imagine the revenue lost when a 500-seat aircraft is grounded for a few weeks. A cut-up wingtip means not only the cost of a repair, but the loss of revenue when an aircraft is sitting on the ground not making money. Flightcom’s Executive Vice President Reed Stager is excited, and rightly so. 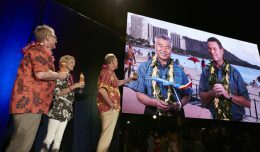 “Flightcom has been serving the aviation industry for 29 years,” he tells us. 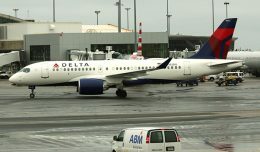 “While Southwest Airlines is the first to deploy Flightcom Wireless systemwide, other airlines, including Piedmont and US Airways, use them at some locations for de-icing or ground support to improve communication effectiveness, team productivity, and safety.” In addition, the headsets offer a high level of hearing protection from the loud sounds of the airport ramps. In the interviews that I conducted with both Flightcom and Southwest, I couldn’t find any downsides. This type of technology keeps planes flying, workers working and gets passengers to their destination, with improved safety and cost effectiveness. How can you argue with that? is called Aircraft Turnaround Co-ordinator. only approach on the authority of the Turn-around Co-ordinator. position which can lead to safety occurrences. exit for aircraft refueling vehicles. present throughout the arrival, handling and departure procedures. “assigned to control and manage the various stages of the operation. identified to all staff working on the stand. authority to control the activities around the aircraft.